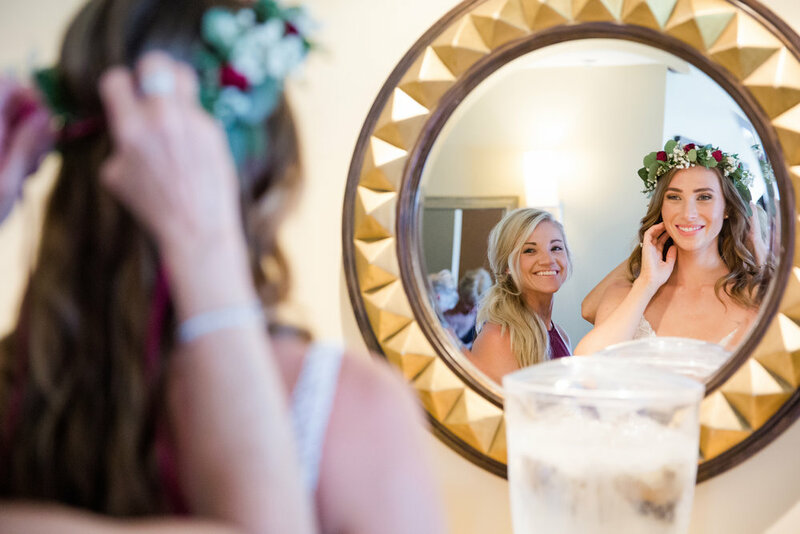 When I met Shelby she told me that she was really picky about her hair and makeup and it felt like she was bracing me for some bridezilla moment and I was a little nervous. Spoiler: It never happened! ;) Quite the opposite! Shelby was the most laid back and kind bride and I still have no idea what she was talking about, haha! 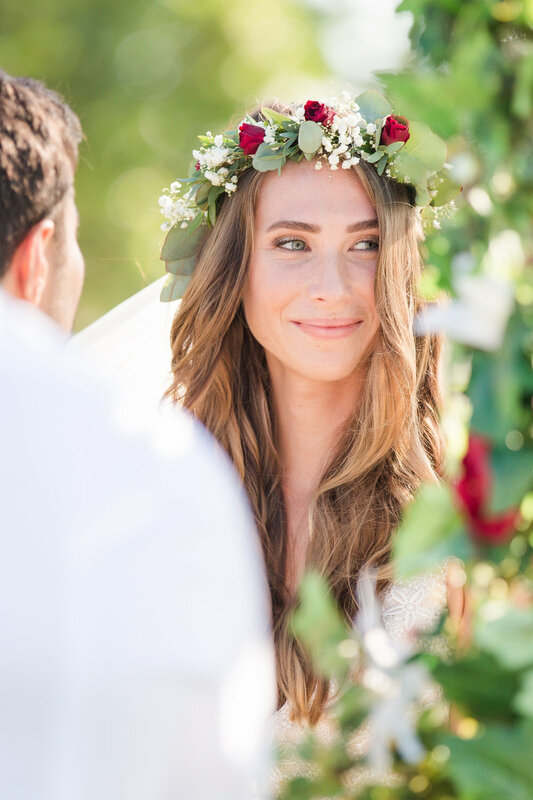 We clicked instantly and I loved the glowy and natural makeup that she chose. I kept her foundation extra lightweight as requested and focused on glowing and kissed-by-the-sun-looking skin with a pop of shimmer on her gorgeous eyes! 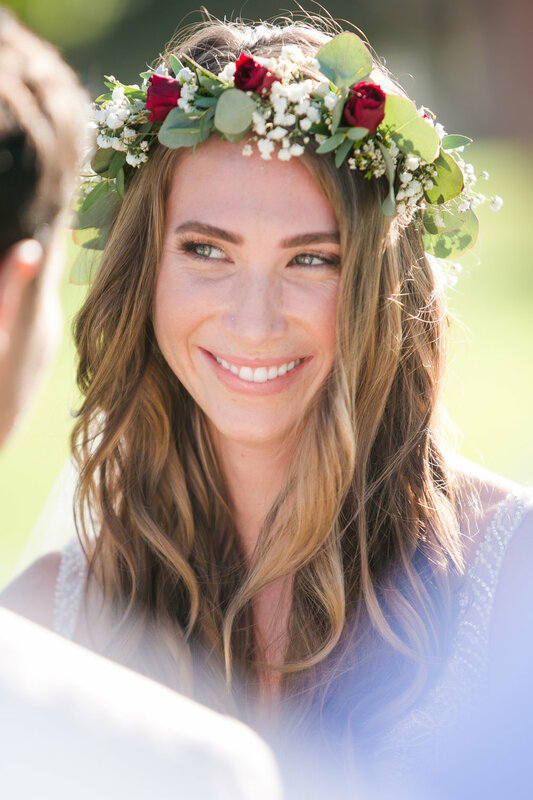 She wanted some soft, beachy waves that looked perfect with her floral crown. 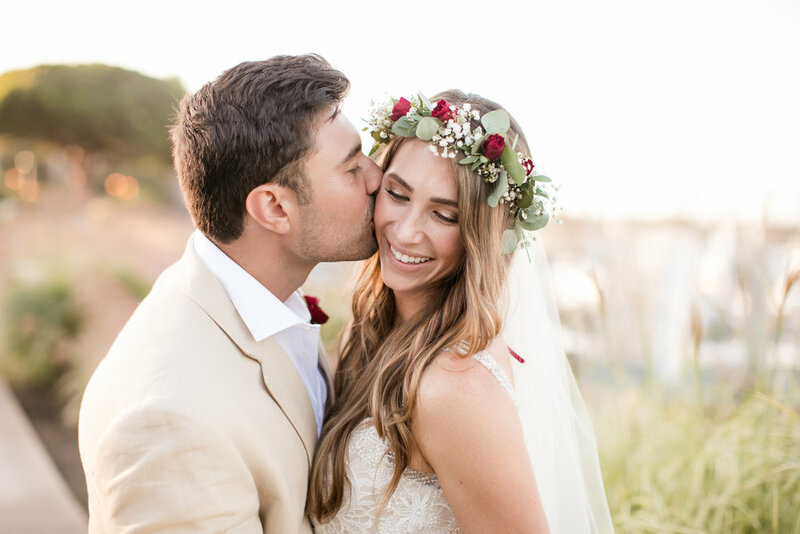 Shelby was a total dream and so was her wedding day on Mission Bay!